We have been getting a lot of rain lately and our yard turns into a soggy mess. 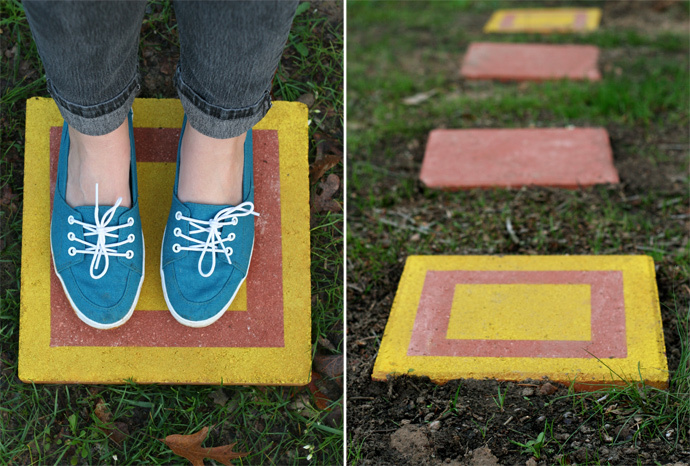 I love cute step stones, but they're so dang expensive! Here's a super simple and inexpensive project for all you yard lovers on a budget. TOTAL COST : About $25 for 20 stepping stones! 1. SUPPLIES NEEDED : Spray paint in a color of your choice, painters or masking tape, and inexpensive concrete blocks (I purchased mine at Walmart for $1/each). 2. TAPE OFF YOUR BLOCKS : I'm a minimalist and went with a simple square pattern. Stripes or a chevron pattern would be super cute too! 3. 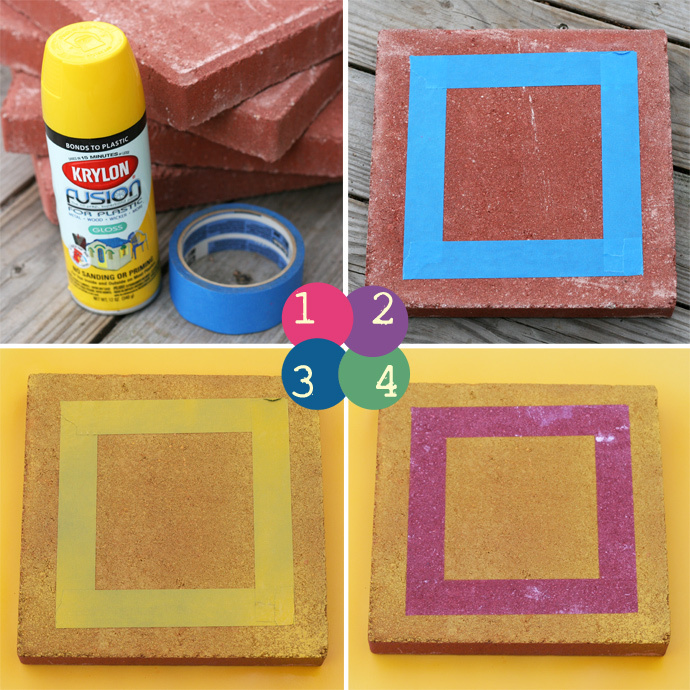 SPRAY PAINT YOUR SQUARES : Spray a thin coat of spray paint evenly across the entire surface. 4. REMOVE YOUR TAPE : And you're done! Let the paint dry for a few hours before stepping on them. Send me a photo if you give this a try. I'd love to see how yours turn out!